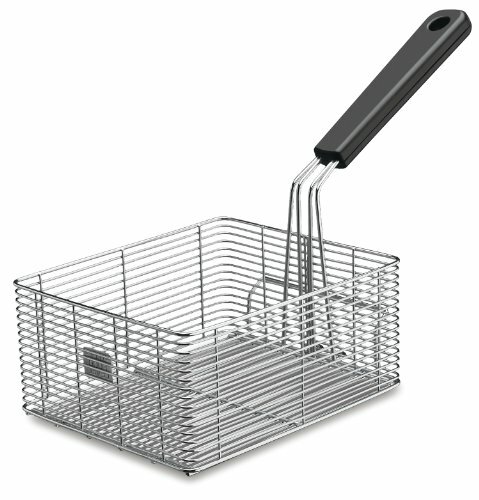 This large single basket is ideal for small batch frying in 15-pound capacity countertop fryers. It is perfect for frying larger products like blooming' onions or large portions of French fries, chicken wings, egg rolls and onion rings. This 5-pound fryer basket is made of durable stainless steel with an easy to clean removable handle. Measures 11-1/2-inch height by 9-1/2-inch width by 6-1/4-inch depth.